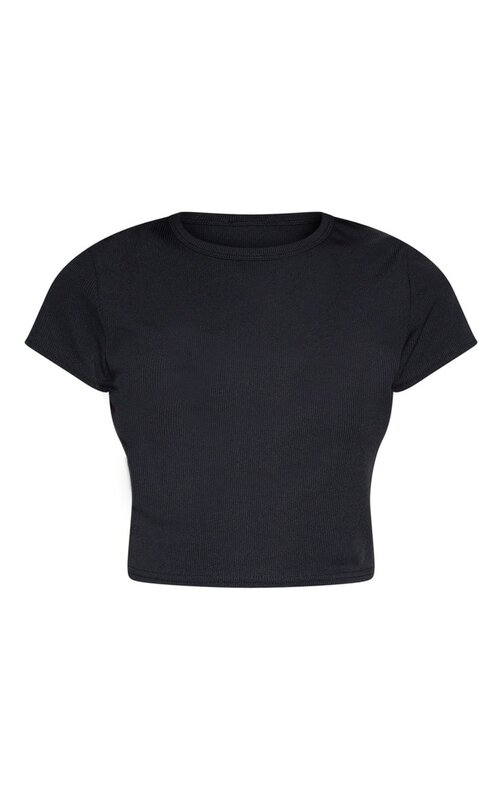 A simple but essential piece, this crop top is our new season saviour. 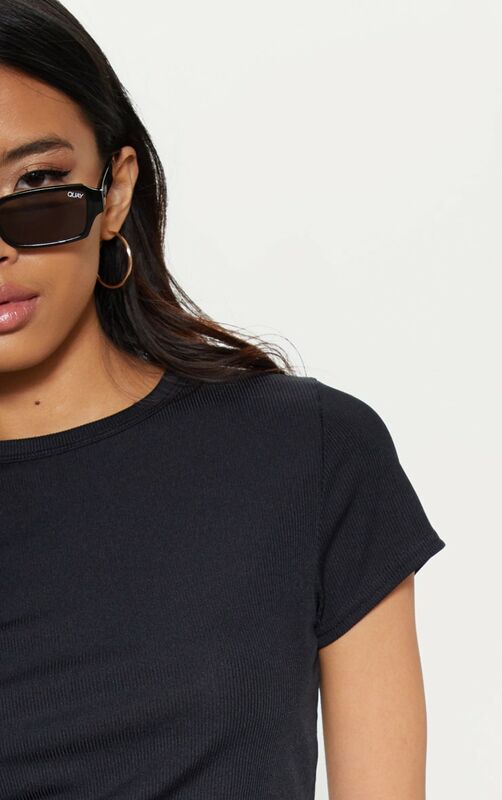 Featuring a black rib material with a crew neckline and short sleeves, we are obsessed. 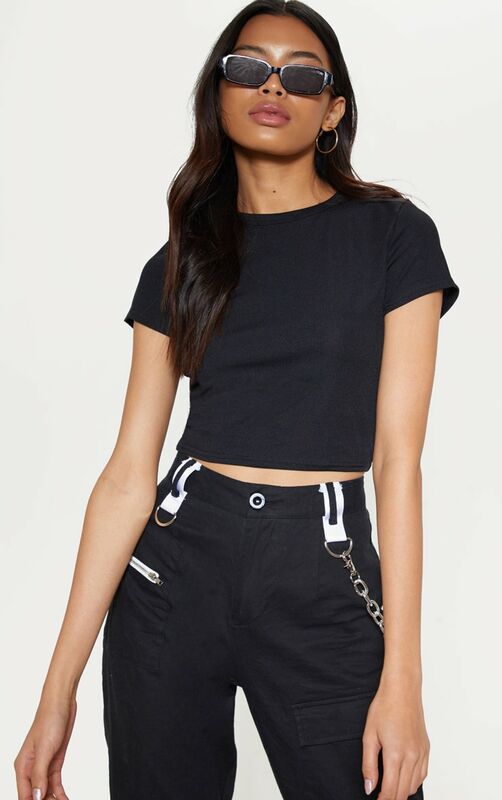 Dress it up with some cargo bottoms and strappy heels.